Get ready for the biggest red carpet event of the year! This fall, the 17th annual Latin Grammy Awards returns to Las Vegas bringing all the hottest artists, entertainers and celebrities to Sin City. The special event will be broadcast live from the new T-Mobile Arena, on the Univision Network. 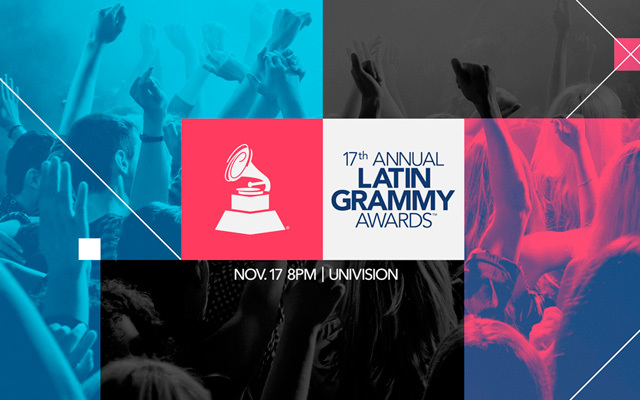 The Latin Grammy Awards are the industry’s most coveted music awards which honor excellence in the recorded arts and sciences. It is one of many initiatives the Latin Recording Academy pursues in its dedication to improve the quality of life and cultural condition of Latin music and its makers. This year’s week long celebration will kick off Tuesday, November 15th with the 3rd annual En La Mezcla, honoring nominees in the field of production and engineering. On Wednesday, November 16th, the Latin Recording Academy® will host the Special Awards Presentation, which honors Lifetime Achievement and Trustees Award recipients, followed by the 2016 Latin Recording Academy® Person of the Year gala. This year’s recipient is Marc Anthony. The week will conclude with the 17th annual Latin GRAMMY Awards telecast followed by the official Latin GRAMMYs After-Party, and a big “selfie” photo event on Thursday. As part of its live telecast, Univision will air the Red Carpet event at 7PM PST, followed by the 3 hour music special at 8PM. Tune in Thursday, November 17th, for the ultimate artist event where these stars light up Sin City! Previus PostFrom One Crazy Match to One Crazy Night!